Join the ride and steal the show in the ultimate Steep experience! 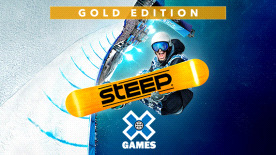 Ride a massive open world of the Alps and Alaska, master 8 extreme sports and go for the gold in the legendary winter sports competition: the X Games! ENG (Audio, Menus + Subtitles).